I’ve been passionate about food and wellness for as long as I can remember. I grew up eating a lot of delicious home cooked food including veggies from our own garden but I also ate a lot of sugary desserts and snacks… and continued to munch on those through my college years! My favorite reading materials in high school and college were fitness and nutrition magazines, which led me to study exercise science in college. I was a personal trainer for 8 years and I noticed that my clients experienced much better results when they changed their eating habits as well as their exercise habits. This led me to study at the Institute for Integrative Nutrition and I haven’t stopped studying since. I have been through my own struggles with my health, from having anemia to fatigue to depression and skin problems. Thankfully, through changing the food I ate, supplementing the right way, and making other changes in my daily routine, I’ve been able to deal with these issues. The depression I had experienced throughout high school and college lifted away. I have so much more energy to do everything I want to do! Through my podcast and programs, I help women go from tired and frazzled to fit and fabulous so they have the energy to do what they want to do! I work in the nutritional supplement industry with healthcare practitioners and absolutely love it. As much as I love kale and salmon, I also adore Belgian chocolate and rosé! Other things I love: adventures around the globe and in San Diego, lifting weights, fancy dinners, photography, random fits of laughter, long bike rides, and sunsets. Evelyne has always had a passion for food, fitness, and wellness. She received her Bachelor of Science in Kinesiology with an emphasis in Fitness, Nutrition, and Health. She worked as a personal trainer for 8 years and is still passionate about lifting weights and staying active. 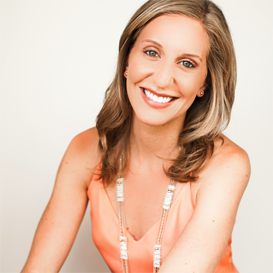 She is a certified Health Coach through the Institute for Integrative Nutrition. Never one to stop learning, she is a certified Precision Nutrition Level 1 Coach through Dr. John Berardi and a certified Functional Diagnostic Nutrition practitioner. She also completed a 500-hour Foundations in Herbal Medicine course with Dr. Tieraona Low Dog. She completed the Applying Functional Medicine in Clinical Practice module with the Institute for Functional Medicine in March of 2016 and is pursuing a Master of Science in Human Nutrition and Functional Medicine. 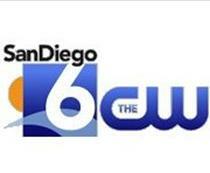 In 2010, she founded Health Coach San Diego and works with women one-on-one and in groups. As a health coach and someone who struggled and overcame her own health issues, she loves to help women gain the energy to do more, accomplish great things, and thrive! 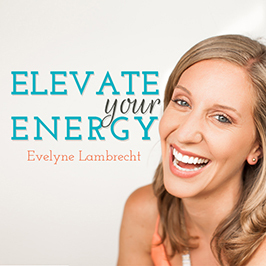 This morphed into the popular women’s health, functional medicine, and nutrition podcast, Elevate Your Energy. She has interviewed almost a hundred guests. She has spoken at Whole Foods, Cooking 4 Life, Windmill Farms, Seaside Market, Cups, and Fitzee Foods about a variety of health-related topics. She has been featured in segments on Fox, CW, NBC, and KUSI and has hosted interviews on The Underground Wellness Show and Dr. Lo Radio.